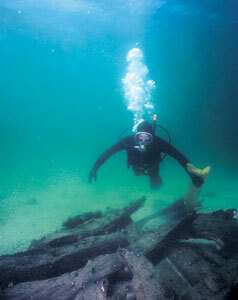 Many shipwrecks in Nova Scotia have become popular dive sites for sport divers. When preserved, their wrecks offer rewarding recreational opportunities and beautiful photography. Select a tour from the list above, or use the arrow keys at the top of the screen to browse. This page and all contents Crown copyright © , Province of Nova Scotia, all rights reserved.